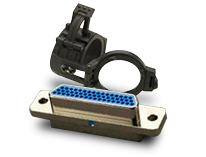 JG Plastics Group has been providing Total Plastic Solutions for the Medical, Aerospace, Consumer, Defense, and Electronic/Connector industries since 1975. We have the experience, technical know-how, and creativity to construct tooling to mold the most demanding, close tolerance parts. 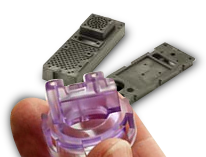 Utilizing scientific molding principles, along with decades of mold making and injection molding experience, we are capable of accomplishing what others cannot. JG Plastics is registered to ISO 9001:2015 and AS9100D quality standards, and is also ITAR registered. 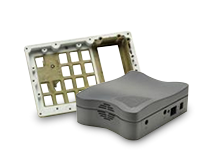 We construct tooling and mold parts to meet the most stringent FAA and MIL SPEC regulations, while employing the latest Good Manufacturing Practices (GMP). Our state-of-the-art, 2,000 sq. ft., Class 10,000 / ISO Class 7 cleanroom is designed for medical injection molding, assembly and packaging. 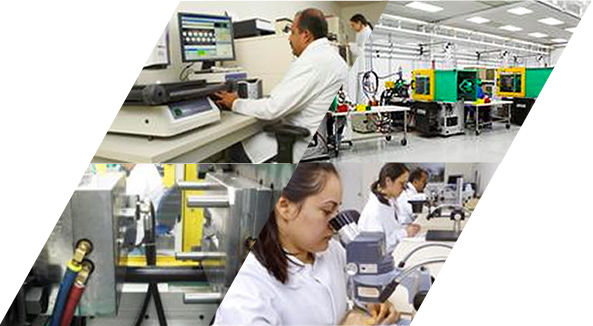 We also have Class 100,000 portable cleanrooms to provide additional molding/assembly flexibility. Our in-house Mold Making Department combines years of practical mold making experience with modern tool construction practices to build complex and precise tooling. And we use the latest CAD/CAM software to optimize tooling construction. We also have the equipment and experience to assemble, decorate, paint, shield, and package the most complex plastic component assemblies. JG Plastics is located adjacent to John Wayne Airport in Orange County, California, providing injection molding and mold making services to customers throughout the United States, Canada, Mexico, Europe, and Asia. 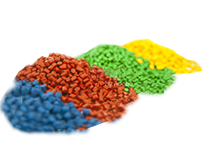 Let us deliver a total plastic solution for your most demanding plastic component requirement, with the service, quality and technical support you deserve.